K8 Hardy, Position Series #58, 2011.
as part of the 2012 Whitney Biennial. M. Women "Dark Space" from Faithful (2011). Video by Robert M. Wolfe. Grass Widow "Milo Minute" from 7" (2011, Revolver). Video directed by Aubree Bernier-Clarke. More info on (sniff, sniff) tonight's show HERE and click the links below for related posts. While we're at it, I'll also take this. (bottom) Haute Hippie short jersey dress, $601. ...because, you know, it's been raining for seven days straight so of course I'm thinking about Spring. Chrissie Morris Ida platform sandals, $1066. All available through Matches' (newly re-designed) website. Semi-guilty-pleasure wise, I have always loved this song. Currently on blast in the photo studio where I'm working. Cover for photographer Cass Bird's new book Rewilding. 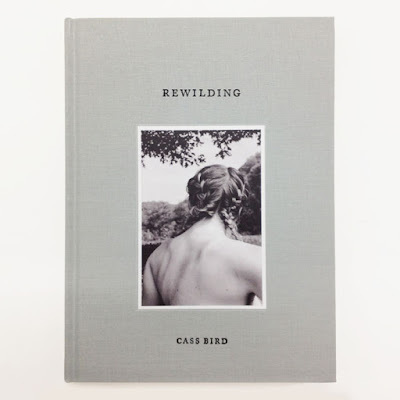 In the summers of 2009 and 2010, Bird traveled to Sassafrass, Tennessee, with a group of young women, a wardrobe of diaphanous dresses and a camera. These women - studio assistants, friends, or women cast from the streets of New York - had been selected by Bird for their ease with their sexual identities, but also for their relative awkwardness in front of the lens. The result was Rewilding, a joyous portrait of modern femininity and a frolicking celebration of women's camaraderie. of Fischl's portraits from 1992 to present. disturbed, but/and I would like to see this show. Trailer for Gerhard Richter Painting, which premiers in the US tonight at Film Forum in New York City. I can't believe that I am just now watching this show for the first time. I feel like someone should revoke my Green Card. If I had one. 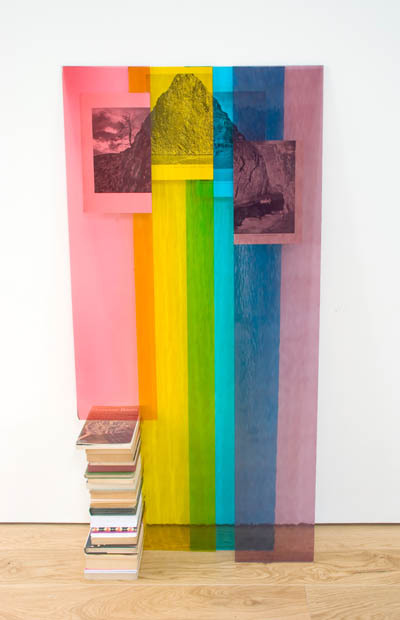 Artwork by Abigail Reynolds, from her solo show A Common Treasury, on view through March 24 at Ambach & Rice in Los Angeles. Trailer for We'll Take Manhattan, a BBC portrayal of David Bailey and Jean Shrimpton. Could be awful, I don't know, but the subject matter definitely makes it worth a look.
. Matt Lifson: Moonbeam or Moonshine, 2012 (Oil on canvas, 29 x 35 inches). 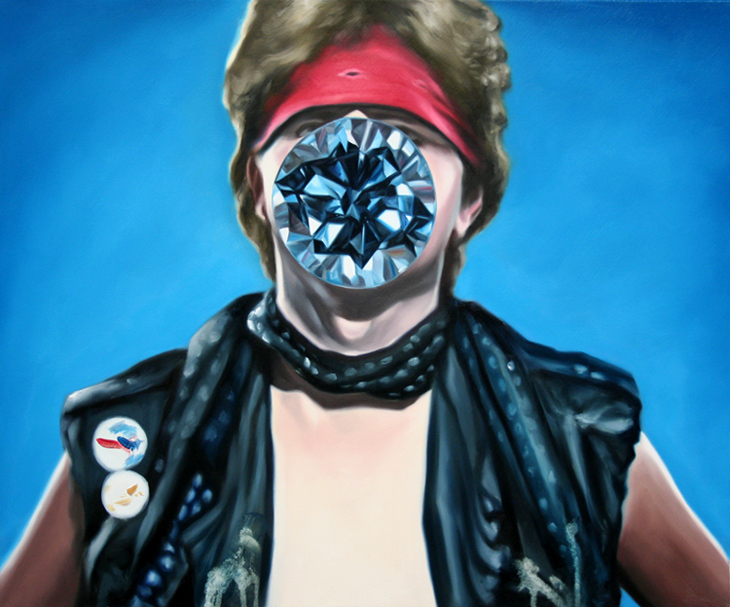 On view in Smoke and Mirrors, Lifson's MFA Thesis Exhibition, running March 14–17 at Bolsky Gallery in Los Angeles CA. (Opening reception this Thursday, March 15, 6–9PM.) See more here. Pacific Standard issue no.1 covers: top, Abby Brothers by Michael Donovan; bottom, Alexis Schuster by Charlie Schuck. Select image above for more information.